Find below the list of top schools in Taltala - Kolkata with phone number, address, 360° School tours, 2018-19 Admission forms & Fees, photos, facilities & more. Union Chapel School is located in Taltala, Kolkata. It was established in 1993. This school follows the ICSE board. The school has English medium. Harrow Hall School, Park Street, Kolkata provides a quiet and inspiring setting for children to read and carry out research, and an information and communication technology center (ICT) which takes the children into the intriguing world of computer and internet. These things when combined together leads to holistic education which is a necessity for students of 21st century. The school also boasts all round development of students, hence they offer a variety of extra-curricular and co-curricular activities which help them become a confident individual and a versatile personality who together work for societal benefits. 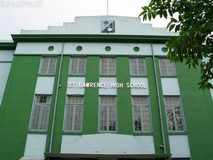 Jewish Girls' School is located in Park Street, Kolkata. It was established in 1881. This school follows the ICSE board. The school has English medium. 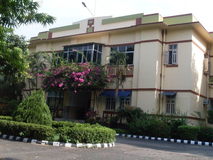 Loreto Day School, Dharamtala, dates back to 1879, The school is under the management of the Loreto Sisters of the Institute of the Blessed Virgin Mary, which was founded in the 17th Century by Mary Ward, who was a visionary of education for women and girls and the important role they would play in society. Pretoria High is an independent private school offering courses leading to the Indian Certificate of Secondary Education, New Delhi. Its sister institution Nopany Vidyalaya has a consistently good track record of 100% first division in the last decade. 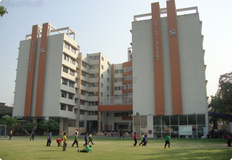 Seventh Day Adventist Senior Secondary School is located in Park Circuis, Kolkata. It was established in 1945. This school follows the ICSE board. The school has English medium. 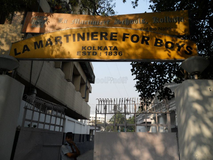 St. Mary's School is a Catholic Institution established and administered by the Catholic Archdiocese of Kolkata. The Institution was established in the year 1967, under the rights and powers granted to religious and linguistic minorities by the Constitution of India (Act. 29 and 30). 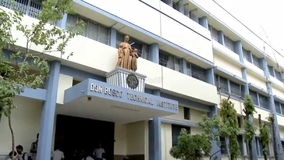 The Catholic Archdiocese of Kolkata is the Founder Body of this Institution. Begun in 1964 by Dhun and Dorab Adenwalla, the parents of a deaf child, the Oral School for Deaf Children is a recognized institution and a registered charity. It is managed by the Society for Oral education of the deaf. You and your child deserve to be looking only at the top schools in Taltala - Kolkata. We at Sqoolz, have created an all-encompassing list of best schools in Taltala - Kolkata so that you can pick the one that is most suitable for your needs. Is the location viable? Is the school big enough? What additional facilities do they provide? Find answers to all the important questions with us. You can even take our virtual tour and see for yourself whether or not the school fits your child's needs.